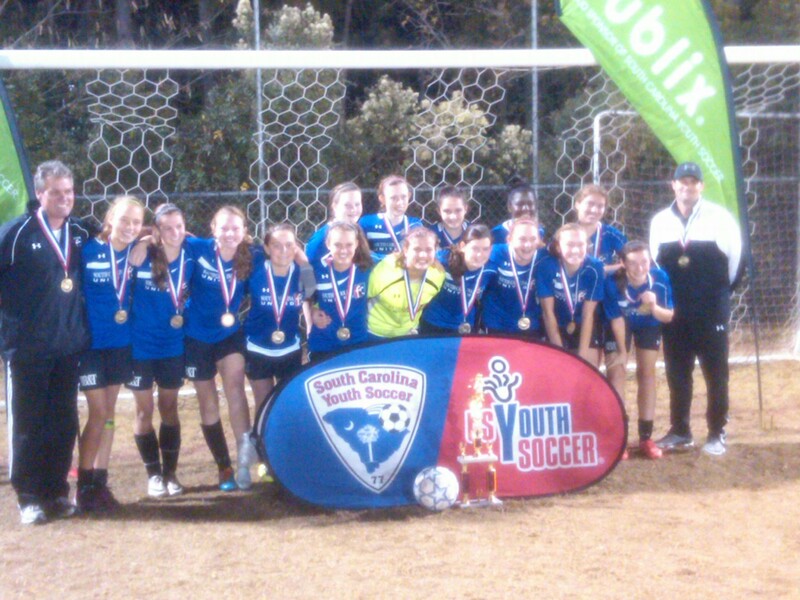 We are pleased to congratulate John Sadler’s oldest daughter Frances and the SC United U16 Palmetto II Soccer team on their recent victory!! 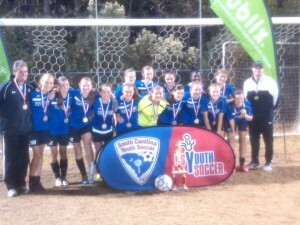 They won the state championship last weekend for the Presidents Medal Soccer League Division as the fifth seed going 4-0 in the tournament on Saturday and Sunday. 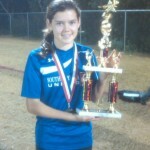 Frances, who plays forward, scored two goals and had one assist in the tournament. Coach Chad Bridges did a fantastic job of getting the team to peak at the end of the season. 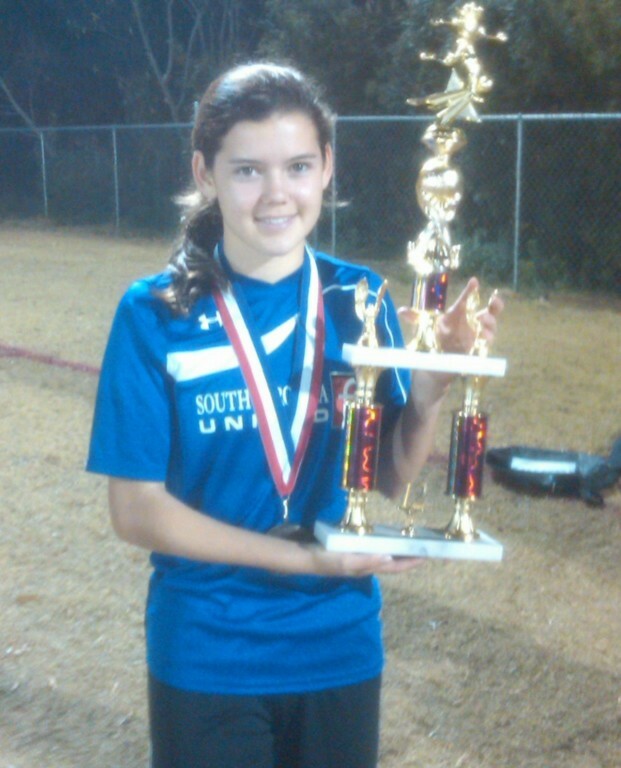 The Sadlers unexpectedly became a soccer family when soccer became the favorite sport of all three children, John Jr., Frances, and Heriot. John Sadler became a soccer coach by default for youngest daughter, Heriot, when no other volunteers were interested in the position. He has enjoyed it since.